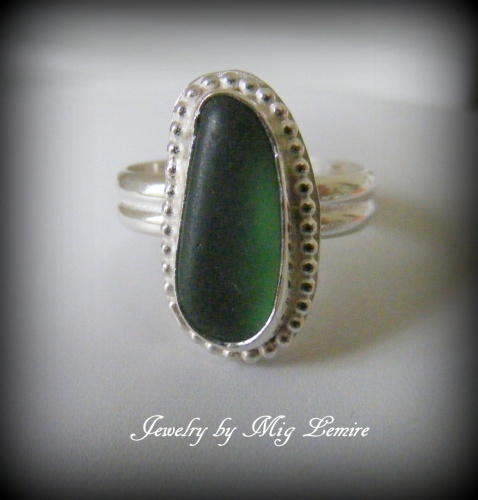 This gorgeous authentic piece of deep green seaglass is so mesmerizing. The deep green against the silver is dramatic. Ring has a double band to make it nice and sturdy. Size 6.